Eisner Award?winning horror master Mike Mignola and Christopher Golden present tales featuring the world?s greatest vampire hunter on a quest for vengeance across a world overrun by monsters. A demented surgeon attempts to cure vampirism by creating greater horrors, and a perverse inquisitor reveals his own dark secrets, as Baltimore pursues the scarred vampire that he blames for all of it. 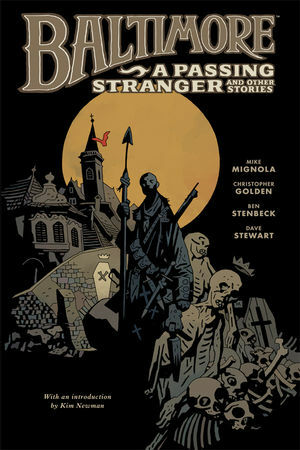 * Epic vampire horror adventure from Hellboy creator Mike Mignola!